(autoinsidernews) Toyota is planning to cut both the weight and the cost for its next-generation gas-electric hybrid technology by 50 percent in the next three years. Toyota is targeting a $1,900 premium for it next-generation hybrid vehicles. Toyota also wants its system to be about half the size and weight of the current system. 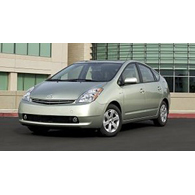 It's estimated that the current Prius has a price premium of about $4,000 dollars due to its gas/electric setup. And Toyota isn't the only Japanese automaker looking to cut costs. Honda is planning for a $1,700 premium for its hybrid-equipped vehicles by 2009, reports Trend.